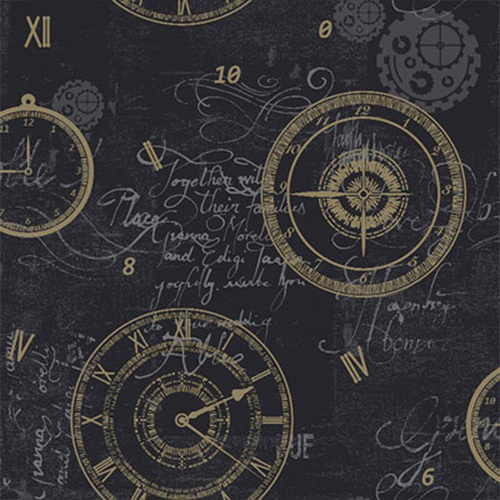 Clockwise Black and Gold Wallpaper combines a vintage inspirational feel with an almost masculine shabby-chic theme. 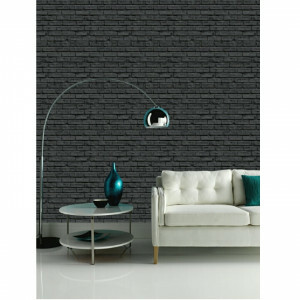 Clockwise will not fail to lend itself to any classic or contemporary décor, whether on one focal wall or on four walls. It features antique time pieces and calligraphy on a black background.